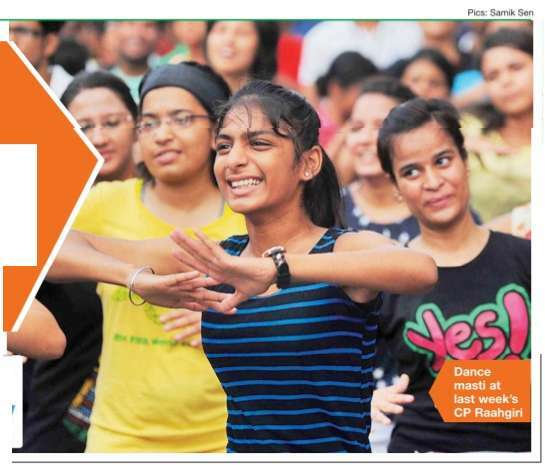 Get ready to hone Day in CP your dance skills at this Raahgiri . Learn some hip hop moves at the hip hop and group dance session by Dance Central or go desi with some bhangra moves at the Bhangra Fusion session by Bhangrabics. Music enthusiasts can groove to the band performance by city-based band, Rotten Guitars, or grab a djembe and join in on the jam session by Djembefola United. And if you just want to cycle around CP and have a lazy Sunday , then head to the TOI cycle corner where you can rent cycles for free.